This rhubarb sorbet with gin is a delightfully refreshing and pretty way to finish a meal. 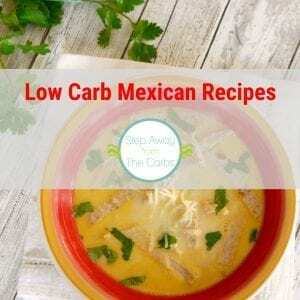 Low carb, sugar free, dairy free, and keto recipe. So as you may have noticed from my pickled rhubarb and rhubarb jam recipes – I’m somewhat obsessed with this ingredient! And the different ways I’ve used it demonstrate just how versatile rhubarb can be! 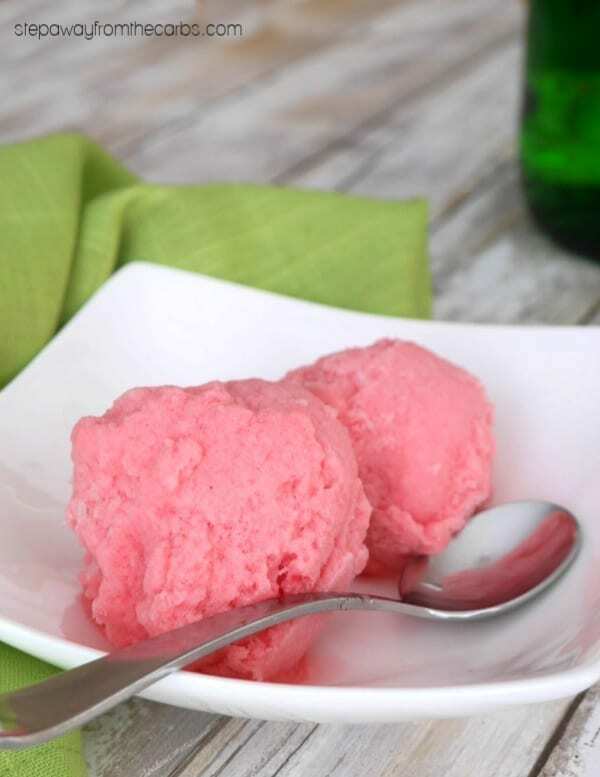 After a long winter – this bright pop of color is just what I need, and so for my next recipe I decided to make it into a sorbet. I’ve added the gin partly because of the flavor, partly because I love gin (well, I am British!!! 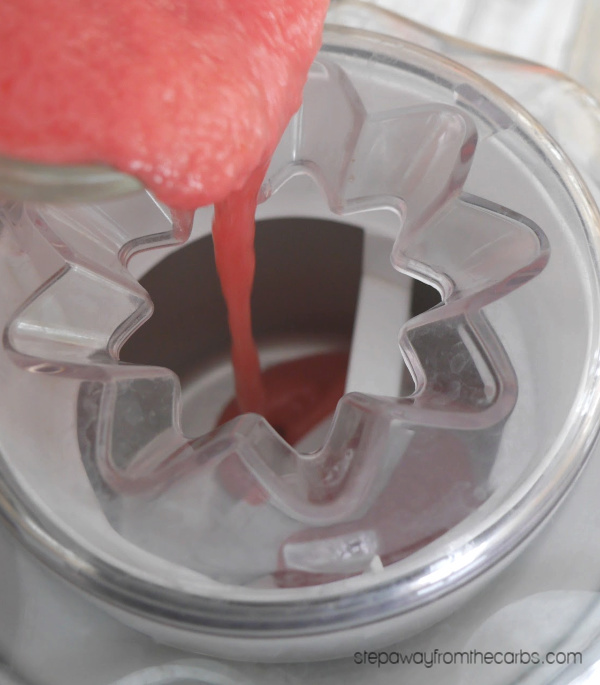 ), and partly because the alcohol helps keep the sorbet from freezing rock hard. I used four tablespoons and you could definitely taste the gin (it works out to one tablespoon per serving), but you could always halve that and the recipe would still be delicious. And here’s another rhubarb photo. 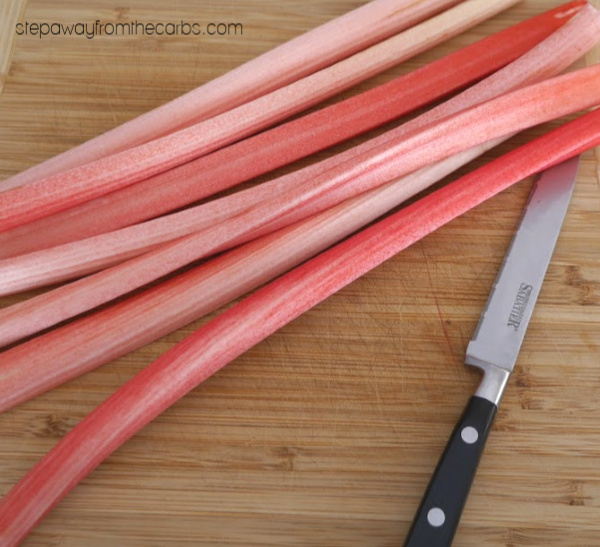 To make the sorbet, trim the rhubarb and roughly chop. 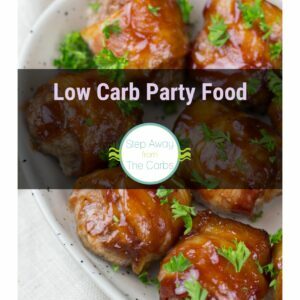 Add it to a saucepan with water, low carb sweetener (use your preferred granular sweetener that is equal in volume and sweetness to sugar – I use xylitol but something like Lakanto – a monkfruit blend – would also work well), and lemon juice. 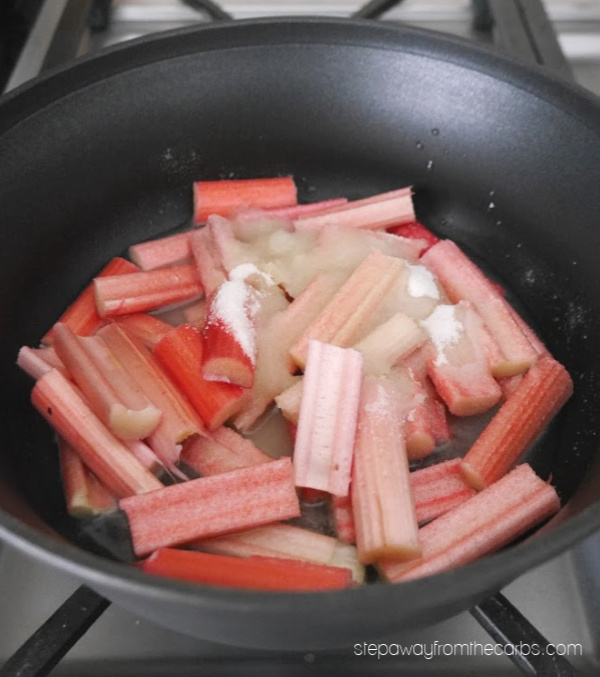 Cook over a medium heat until the sweetener has dissolved, then cover and cook for about 15 minutes or until the rhubarb has completely broken down. Let the mixture cool slightly, then stir in the gin. Transfer it to a blender and blend until smooth. Add in a few drops of red food dye if desired. Transfer the mixture to a jug and chill in the fridge for at least an hour. After that time, pour it into an ice cream maker. Follow the manufacturer’s instructions but make sure the ice cream doesn’t freeze solid. When it can hold its own shape, transfer it to a container, cover, and freeze until solid. Soften in the fridge for 10-15 minutes before serving. 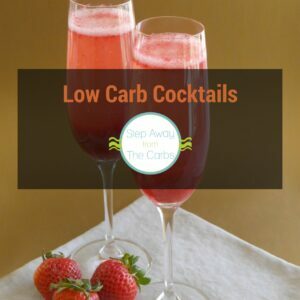 Add the rhubarb, water, low carb sweetener, and lemon juice to a saucepan. Let the mixture cool slightly, then stir in the gin. Transfer it to a blender and blend until smooth. Add in a few drops of red food dye if desired. Transfer the mixture to a jug and chill in the fridge for at least an hour. After that time, pour it into an ice cream maker. Follow the manufacturer’s instructions. When it can hold its own shape, transfer it to a container, cover, and freeze until solid. Makes about 2 cups of sorbet. 3g net carbs per serving of approximately half a cup. This looks delicious. Would you have any idea how to make orange? It’s my favorite. Thank you!! 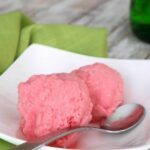 I’ve never made a low carb orange sorbet but I’ll add it to the list of things to work on!